From its inception over a decade ago the Callaloo restaurant has been a fixture in Hillsboro Carriacou. 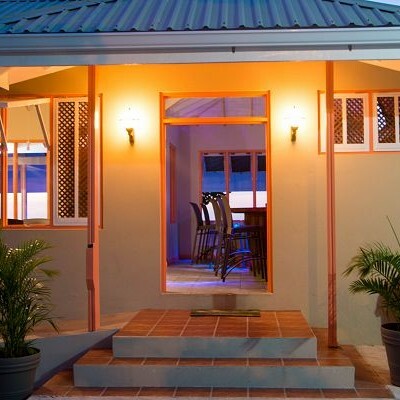 Newly renovated with a new bar and deck, which extends out to the beach, it is on the premise of the Mermaid hotel. Our in house chef and staff prepare fresh catch of the day seafood dishes, with a menu which can delight any palate. The Callaloo is the perfect location to dine in or hold a private function. Don’t forget to order some fresh squeezed tropical juice or Lintin Rigs rum punch from the bar! Carriacou is the southernmost of the Grenadine islands at 13 miles long. 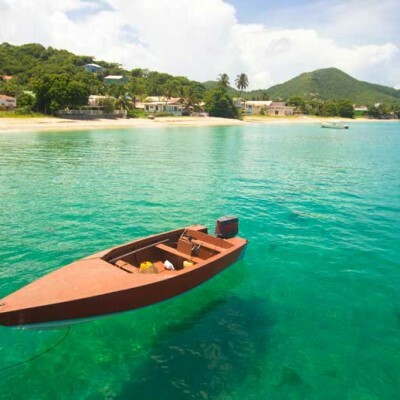 A yachters paradise which is a string of nearly 200 islands between St. Vincent and Grenada. Home to approximately 8,000 people One of the famous beaches is appropriately named Paradise Beach. No surprise then that it attracts divers from around the world. An extra special diving attraction is an active underwater volcano. Our Sandy Island, even made it to the cover of Germany’s prestigious GEO magazine which rated it “one of ten best places in the Caribbean. Welcome to the newly renovated Mermaid Beach hotel and Callaloo restaurant and bar,located in picturesque Hillsborough Carriacou. Our 22 room hotel boast 4 king bed suites, 4 ocean view suites, and 14 standard rooms with a combination of queen or single beds. All of our spacious rooms feature, air conditioning, ceiling fans, telephones, cable TV, Wi-Fi, refrigerator’s, and exquisite contemporary bathrooms with rain forest showers. Located on the beach our quest are just steps from the ocean, and Callaloo restaurant and bar, serving delectable dishes and drinks morning noon and night. The Mermaid is located in the heart of town, walking distance from the Osprey ferry and a 5-minute drive from Lauristen airport. Whether you prefer to sit in the shade and enjoy the ocean breeze, or lay in the sun and tan, our beach front hotel is perfectly equipped to accommodate your needs, so come stay with us and experience Island life as it should be.